China will launch about 30 satellites by the end of 2020 for its Beidou Navigation Satellite System and will build a network of ground augmentation stations to improve its coverage and accuracy, said a senior project official. 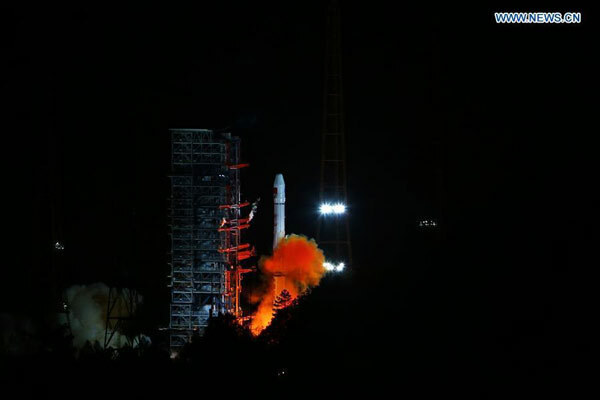 Ran Chengqi, director of the China Satellite Navigation Office, said that when those satellites are put into service, Beidou will have global coverage. Beidou is the fourth such system, following the United States' GPS, Russia's GLONASS and European Union's Galileo. "About 18 of those satellites will be launched before 2018 to enable the system to cover nations involved in the Belt and Road initiative," Ran said on the sidelines of the Seventh China Satellite Navigation Conference, which opened in Changsha on Wednesday. "To my knowledge, these nations welcome and look forward to the Beidou system applications, and we are cooperating with more than 10 neighboring countries to promote these applications. Our collaboration includes technological exchange, professional training, providing the hardware and application package and technology transfers," Ran said. Beidou is already aiding these nations' disaster prevention and relief, transportation and telecommunication efforts, as well as financial services, he said. The Belt and Road Initiative, a development strategy proposed by President Xi Jinping in 2013, refers to the Silk Road Economic Belt, linking China with Europe through central and western Asia, and the 21st Century Maritime Silk Road, linking southern China by sea to Southeast Asia and to Africa. The central government estimates it will benefit 4.4 billion people in 65 nations. China launched its first Beidou satellite in 2000. The system began providing positioning, navigation, timing and short-message services to civilian users in China and surrounding areas in the Asia-Pacific in December 2012. The most recent Beidou satellite launch was on March 30, and a backup satellite will be put into orbit in June, Ran said. Under the government's plan, Beidou will have 35 satellites by 2020, five in geostationary orbit. By then, the system will have mostly new-generation satellites, according to Ran's office. The government intends to build more than 1,800 ground-based augmentation stations over two years to increase the navigation system's accuracy. Ran said 175 augmentation stations have been built and are fine-tuning the Beidou system. When 2,000 stations are in service, Beidou will be accurate down to the centimeter in China, he said.